As dawn breaks on April 25, 1915, ANZAC troops go into battle on the beaches of the Gallipoli peninsula. Landing in the dark chaos, 17-year-old Thomas "Tolly" Johnson, his brother Bevan and their mates struggle to establish a tenuous foothold on the treacherous slopes and deep ravines. They endure the next eight months on the peninsula learning lessons of survival. By the time of the final evacuation they have also learned the skills of combat and what it means to be a young man in war. 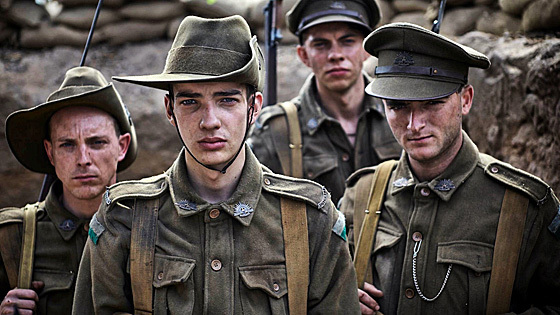 Inspired by the best-selling book, Gallipoli, by Les Carlyon.